Vein Treatment Center Spring Hill FL – The Vein & Vascular Institute provides the latest and most advanced laser vascular surgery to treat venous insufficiency and varicose veins performed on an outpatient basis. At The Vein and Vascular Institute of Spring Hill, laser vascular surgery is performed by Board-Certified Vascular Surgeons. Laser vascular surgery offers patients a pain-free experience, quick recovery time, and no scarring on their legs, allowing patients to enjoy healthy legs again. Venous insufficiency is a condition where the vein valves inside your leg veins are malfunctioning, allowing blood to flow downward, the wrong way, causing the blood to accumulate in the leg. It’s important to know that venous insufficiency is a very dangerous vein disease. Because when blood accumulates in your legs, it can put you at risk of developing a blood clot in your leg veins, that can travel to your lungs, causing a pulmonary embolism…that can be fatal. If you think you have venous insufficiency, the vascular surgeons at The Vein & Vascular Institute of Spring Hill can see you for a vein consultation to determine if your symptoms are related to venous insufficiency. If you are diagnosed with venous insufficiency, a vascular ultrasound (venous insufficiency screening) will be recommended to confirm the diagnosis and to discover the malfunctioning veins that need to be treated. Then, our vascular surgeons will treat your malfunctioning veins using endovenous laser ablation to close the diseased veins. Using endovenous laser ablation, our vascular surgeons have treated thousands of patients that were suffering from venous insufficiency and varicose veins. And now these patients are able to enjoy life with healthy legs again. 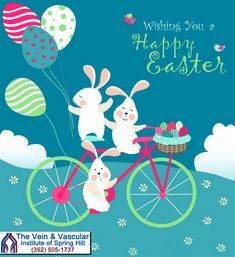 To schedule your vein consultation with one of our Spring Hill FL Board Certified Vascular Surgeons, give us a call today at (352) 505-1737.